Shannon Culture App Available to download on Android and IOS. the shannon culture app available to download on android and ios. 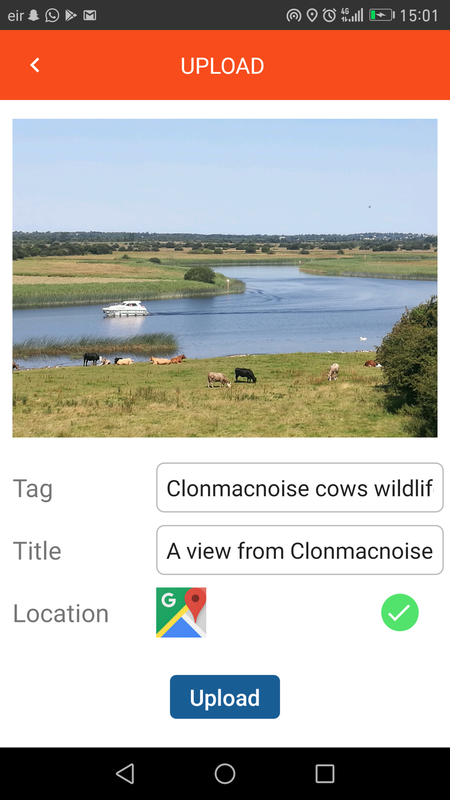 We have developed an interactive photo app for all River Shannon users. 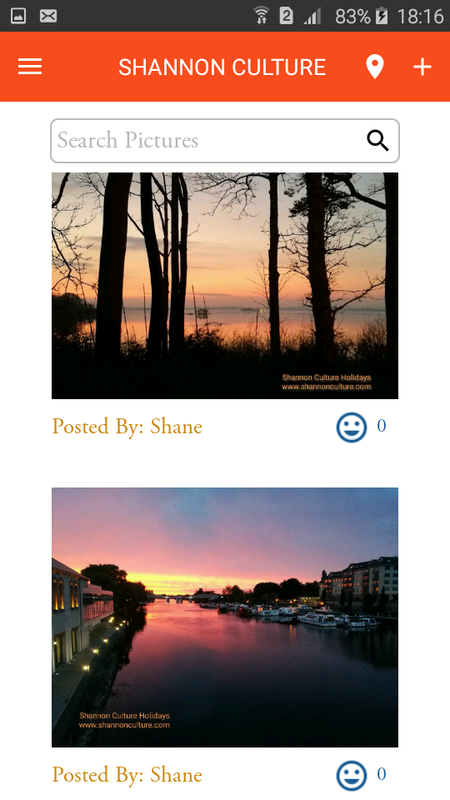 *Upload your photo onto the Shannon Culture App. *Pin your photo to the exact location your photo was taken. Talk about your photo and beautiful locations around this majestic river. Tap on the locations icon on the top right corner. You will find where you placed your photo on the "Map View". You will also find other icons on the "Map View" giving the app users information on the services around the location you took your photo. Tapping on the icons the user will see information appearing on the screen of what services they provide. You will then have a direct link into their Social Media or Website. Keeping users up to date at all times. *Search different locations around 386km of Irish waterway. *Find that place you fell in love with. *Show others where you have been. *Find Islands, Castles and Monasteries. *See what is happening on the River Shannon with updates on social media. Who's playing music tonight?